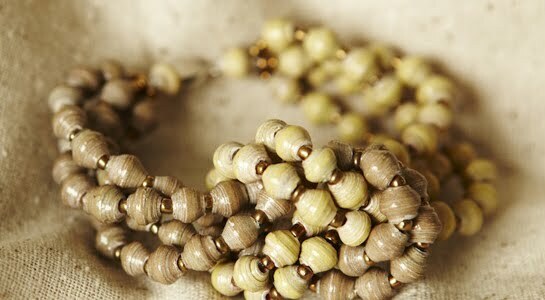 We've just received our first shipment of gorgeous eco necklaces and bracelets from socially minded company 31 Bits - and we're thrilled! We love this jewellery for three reasons. First, it looks phenomenal. If it didn't look good it wouldn't be worn. Personal faves include the Tally Berry Blue bracelet and the extra long Bella necklace -- the compliments are endless. Second, it's made from recycled bits of posters, fliers and textbooks and sealed with a non-toxic, water-based varnish so it's eco-friendly. Third, it helps empower individual women in Uganda to rise above poverty. 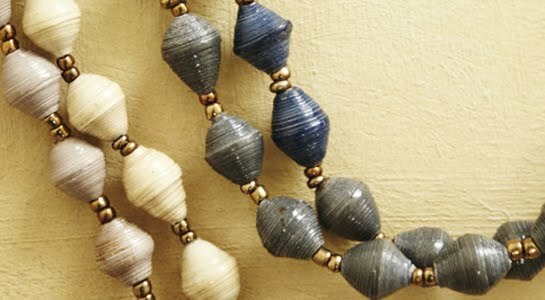 The concept behind 31 Bits is to help individual women with a holistic approach to development, meaning not only do the creators of this jewellery receive a sustainable monthly income, but they also receive finance training, English lessons, health education, business training and spiritual support. It's just as much about the consumer as it is about the creator. To be frank, we love this concept. 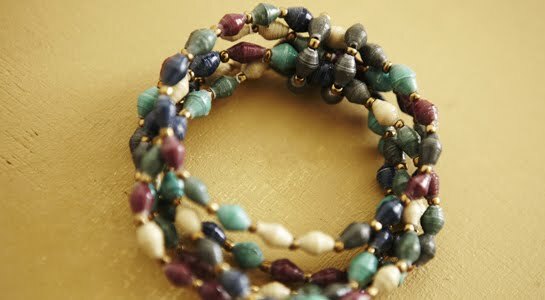 Give a lovely bracelet or necklace this Christmas -- or treat yourself! -- and you'll be giving the gift of empowerment to woman who needs it. For more, click here.